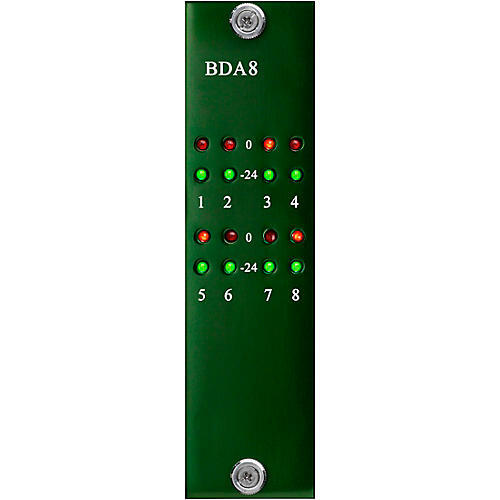 Every BDA8 channel has the latest Burl Audio discrete op-amp, BOPA2, technology. For many who have already embraced the B2 Bomber, this is a dream come true. Recording an entire band and playing back through 24, 32, or 64 channels Burl at a time, is a truly beautiful experience. With a completely configurable AD/DA, a converter for any situation can be realized. If you just mix, load up the B80 with 8 BDA8 cards for 64 channels of mind blowing fidelity. The first offering of the B80 digital motherboard, the BMB1, comes standard with two Digi-link connectors for direct hookup to Pro Tools. Burl Audio does away with the expansion port, making both primary ports. That means you can play 64 DAC channels straight out of your DAW with one unit! No more cascading units with multiple word clocks. All channels can run off of one internal master clock. Good bye word clock generator! Of course if you do need more channels, multiple units run flawlessly with tight clocking.